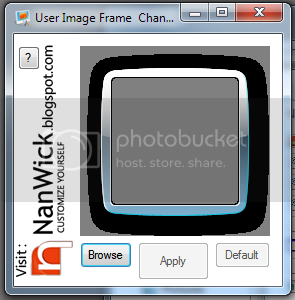 Due to user requests NanWick is releasing a solution for user image frame replacement. User image frame changer is a simple tool which helps you to change User image frame within one or two seconds. 1. Click Browse button and select a PNG image file. 2. 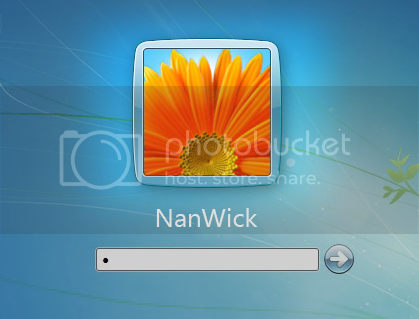 Click the Apply button to set it as User Image frame. Use Default button to restore your original User image frame. Please Logoff or restart your PC to view the change in Logon Screen. The first time it worked, but when I tried adding a transparent frame, it gives me the black screen of death. Any way to make the border transparent without this error happening? Try to create the image in 1:1 ratio. Actually this tool creates a backup of the Windows logon screen files. So if logon fails, restore backup file located : %windir%\system32\authui_original.dll using secondary O.S. I don't have a second O.S. though. And for the authui.dll recovery, there was no result. It's alright though. I'm just going to move on. It is safe to create a secondary OS for recovery solutions. You can also try live Cd os like ubuntu linux(Which not need to be installed).